Hello and welcome to day 1 of the My Favorite Things January release countdown. For the next 5 days, we're counting down to the January 2017 release, sharing cards and ideas using the new products. For today's card I used the new Floral Fantasy background stamp to stamp my white card stock panel and then I diecut a heart out of the middle with the stitched heart from the new Flop Card - Heart die-namics. 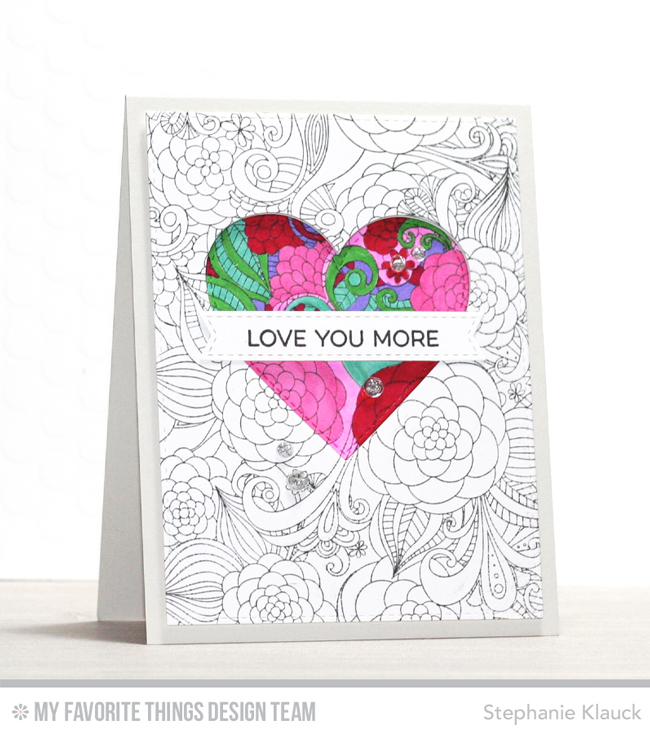 I used markers and coloured in the diecut heart with lot's of bright pinks, reds and greens and then I adhered it onto the card base with the negative piece. I adhered the heart directly to the card base and the negative piece with foam adhesive for some dimension. 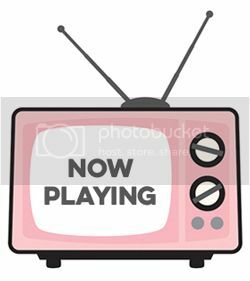 Thanks so much for joining me for day 1 of the January release countdown. All of the new products that we're sharing all week will officially be available in the MFT online store at 9pm EST tonight! Make sure to head over to the MFT blog for more ideas from the creative team and giveaways! See you tonight for the release! looks like a shaker card, is stunning, and so beautiful! Wow love the look and the colors are awesome. Love the perfect heart and band. Love this look. Your card is stunning, I'm loving the new background stamp. Wow! Cool take on that fabulous background stamp! 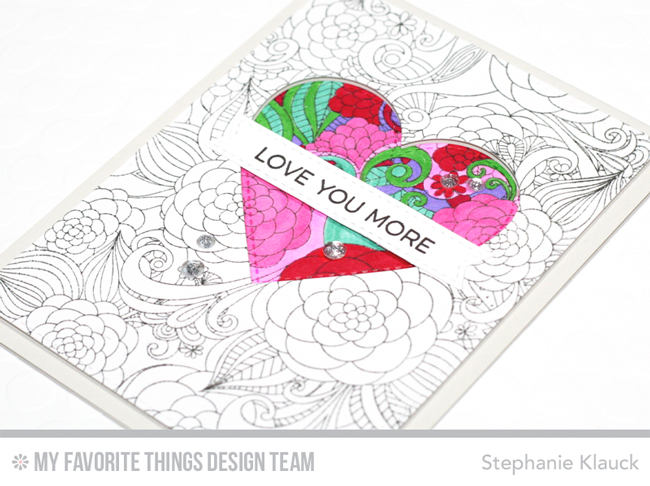 Stephanie, your die cut and colored heart is perfect against the black and white background. Your card really pops! An inspired card that is so clever and beautiful! A little color goes a long way! Your card really pops. Beautiful! This is so cool. I am definitely going to have to try it. It combines my two favorite things - coloring and card making! Beautiful card and love the coloring. The new markers look wonderfully vibrant.